Synaptics had announced a fingerprint sensor that can be embedded beneath the display. The company also said that it would be partnering with a leading smartphone manufacturer, which led nearly everyone to contemplate that Samsung and its Galaxy S9, and Galaxy S9+ would be the first devices to get an in-display fingerprint sensor. We and the rest of them were wrong because it was not Samsung, but Vivo that has introduced something great at CES 2018. 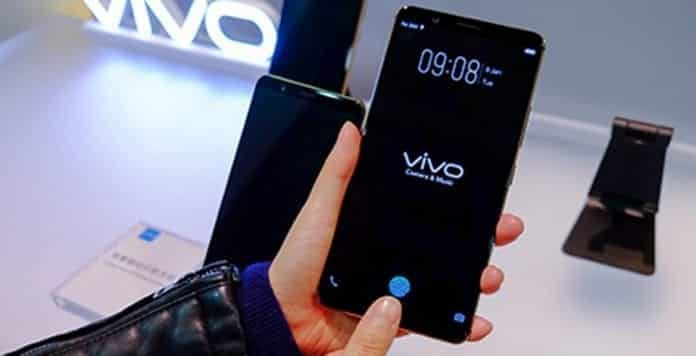 At the trade show taking place in Las Vegas, Vivo has revealed a smartphone that features a nearly bezel-less display but the fingerprint reader is not present at the back of the device but at the front instead. The in-display fingerprint sensor will sit between the mainboard and the OLED panel where it will illuminate the finger and then process the beams of light. Phones like the Galaxy S8, Galaxy S8+ and Galaxy Note 8 all features great designs for a smartphone, but it can become a difficult procedure accessing the fingerprint reader from the back.The phone from Vivo is expected to be officially announced in early 2018 as far as its hardware goes, we have nothing for you at this stage. We expect that several different smartphone models from Vivo will be using this technology, but there are rumors claiming that the Galaxy Note 9 will be the first flagship from Samsung to get an in-display fingerprint sensor. As for the iPhone X Plus, that continues to remain a mystery.